One of our favorite places to browse and shop in the Hudson Valley is bluecashew Kitchen Pharmacy, the creation of Gregory Triana and Sean Nutley. With every visit comes a new surprise, a new arrival, and a fun chat. On the store’s website, bluecashew is described as “fusing utility & design into a well- merchandised specialty kitchen experience.” This is definitely the case. 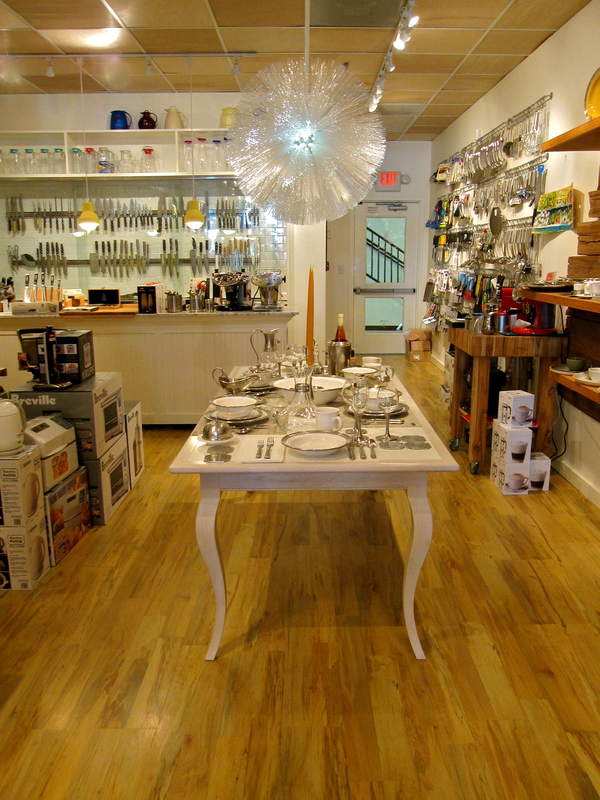 The store carries a beautiful selection of both unique and classic cutlery, baking and cookware, barware, stemware, and small appliances, at all price levels. 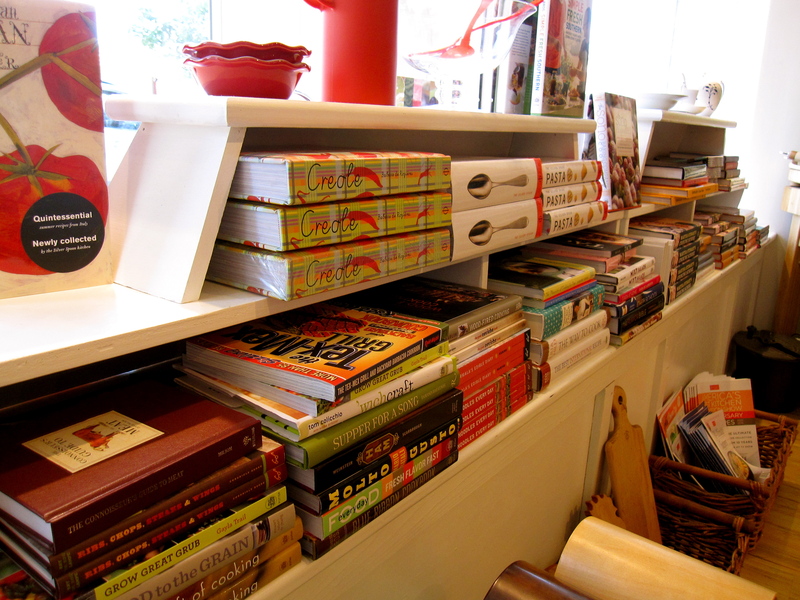 A carefully selected and thoughtfully displayed cookbook section complements the merchandise. On one of our first visits, we also noticed a dedication to offering sustainable and “green” merchandise – and the store design reflected this as well. In fact, the store won a Retailer Excellence award for its design last August. 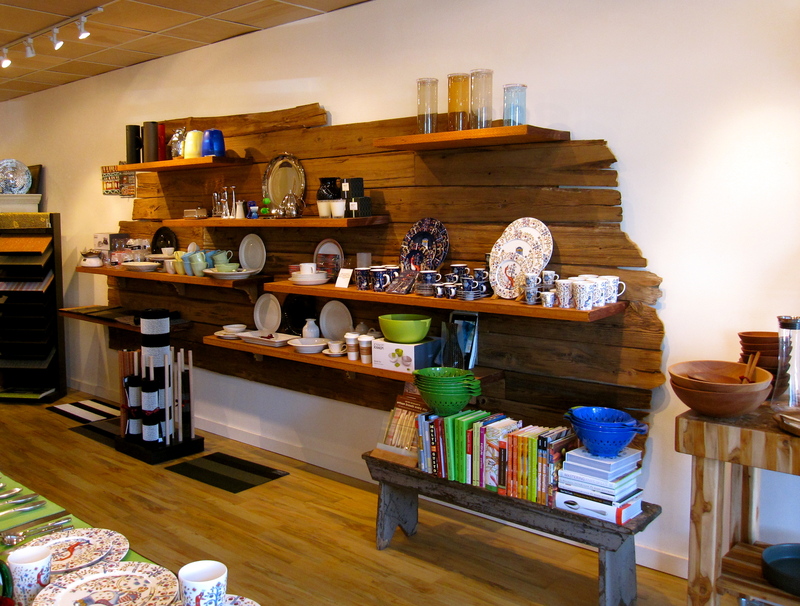 One of our favorite features in the store is its wall made from reclaimed wood. 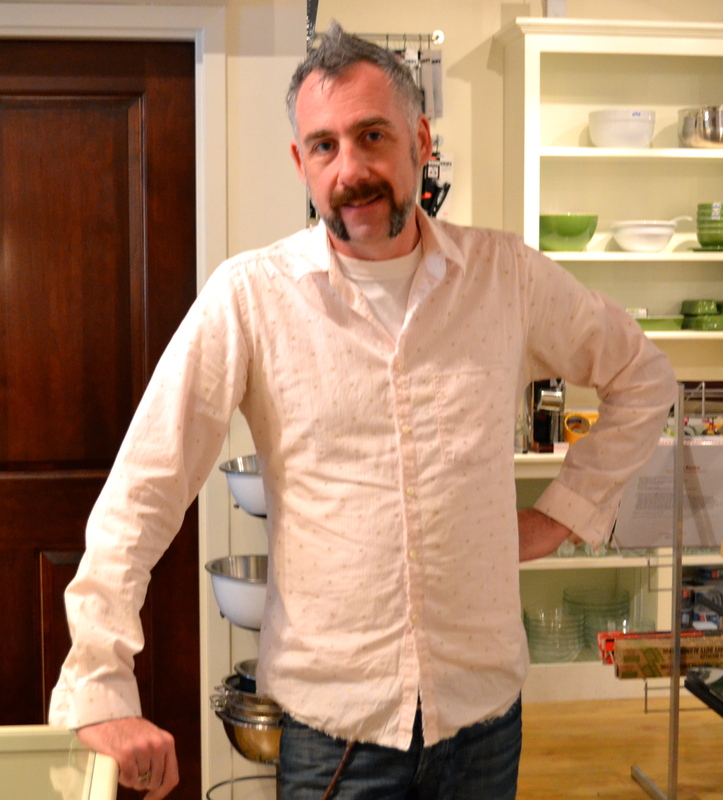 We recently had the chance to check in with Sean Nutley about what’s new in the kitchen these days, especially in the area of sustainable goods. The words “green” and “sustainable” are being tossed around a lot these days, what do they mean to you? Broadly speaking, we like to try to find sustainable ways of meeting of our needs today – this means without compromising the future, and using more of what the earth has to offer. We try to do more creative synchronizing with resources available, reusing and reinventing uses for items we already have. What are the top products in your store that can help cooks be more sustainable? We love J.K. Adams Co. wood products, a company from rural Vermont that’s been in business for over 65 years. The company has employed many generations of local people in their area, and does beautiful work. They make a great spice rack, in fact. Chilewich recycled vinyl products are beautiful and a smart use of recycling. The company offers its own take-back program, so customers can turn their used products back in to the company for reuse. We’re also fond of govino recycled plastic beverage glasses, which are made from a food-safe, BPA-free polymer. This material reflects a wine’s color and aromatics like crystal does, but it’s recyclable (#1), and reusable. There are many times when glass stemware just isn’t an option, so this is a great solution. And they’re so great looking. USA Pan recycled stainless steel produces bakeware for the home, patterned after its commercial products. It’s made from 65% recycled aluminized steel. It’s manufactured in Pittsburgh, so it’s great to know it comes from an area that relies on steel production to fuel its economy. Tell us about your attempts at being sustainable in your remodel. This was something we worked very hard to do. We used recycled mushroom wood, and we refitted all the fixtures from our High Falls store when we relocated in Rhinebeck. The flooring is recycled Formica, and we used plywood for the ceiling tiles. People ask us all the time about our ceiling, since it’s not the usual white ceiling tile. Green products aside, what’s the one surprising thing you think cooks might add to their kitchens that they might not have thought about? Gadgets play a big role for us. Customers always come back and say, “Wow, everything is so much easier now that I have…” Knives are often a big change in customers’ kitchens. They can’t believe how sharp the Messsermeister knives are, and how they make cooking easier. What are some of your favorite cookbooks? Balthazar, a Phaidon title, is still in my personal top 10 all-time favorites. Suvir Saran’s two books; American Masala and Indian Cooking at Home. Memories of a Cuban Kitchen by Mary Urrotia Randelman is a very beat up book on my shelf. Way To Cook is a staple, as well as Joy of Cooking. Great selections with a broad range. Which ones are your bestsellers? The Frankies Spuntino Kitchen Companion and Cooking Manual has been a huge hit! Again Phaidon cooking titles like Balthazar, Mark Bittman titles, and Deborah Madison titles are all very popular. So what does this tell you about what people are currently cooking/eating? People are definitely trying to find ways to develop healthier eating habits. It seems people are cooking at home more often too, which we love to see. We love to see that too, Sean. Thanks so much for this peek into what you and your customers are up to right now in the world of cooking and cooking supplies. Take a look around bluecashew! And we invite our readers to let us know if you have a store in your area specializing in green kitchen goods, in a comment below. We might even ask you to do a guest post for us. Thanks! This entry was posted in In the kitchen, Natural health, Sustainability and tagged bluecashew, chef, cookbook, cooking, food, natural living, Sustainability by Cayenne Room. Bookmark the permalink.